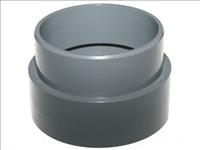 If you are using 4" pressure pipe then you will need to glue this adapter directly into the 110mm bottom drain to convert it to 4". Complete 50mm bottom drain kit. Comes with clamping ring and lid. Suitable for 50mm waste pipe. 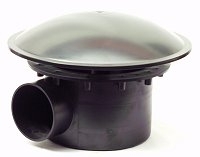 Complete 110mm bottom drain kit. Comes with clamping ring and lid (adjustable height). 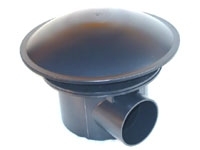 Suitable for 110mm waste pipe. 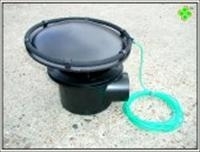 Comes with attached ring aerator & airline for improved current to draw waste into drain.